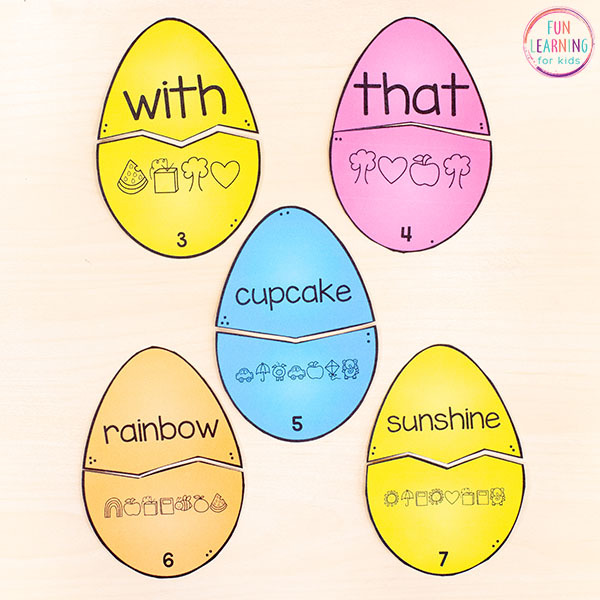 Try these Easter secret code word puzzles for a fun way to learn sight words, letters and sounds, spelling words and more! 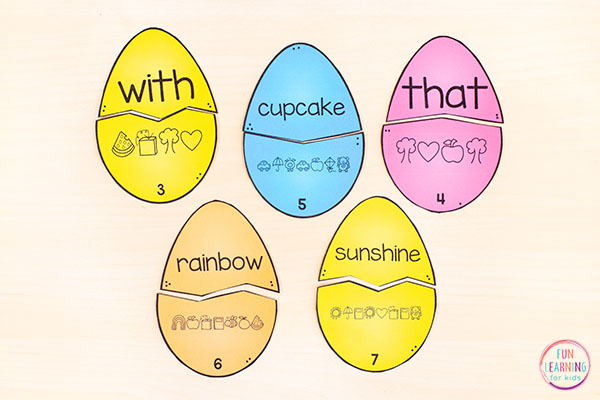 Perfect for Easter literacy centers! 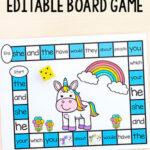 We are loving editable printables lately. I am teaching kids who are at drastically different grade levels and having editable activities means they both can work on similar activities while still getting exactly what they need. 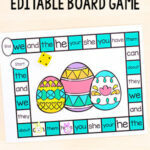 Puzzles are always enjoyed by the kids, so I thought it would be cool to create editable puzzles. 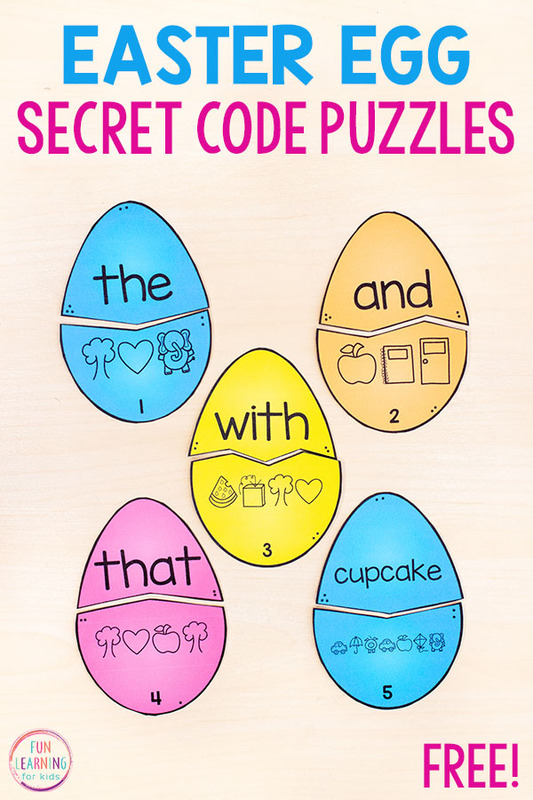 Not only that, but puzzles that require kids to utilize critical thinking skills by cracking the secret code and then completing the puzzle. 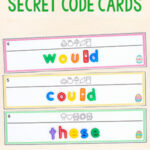 The Easter secret code puzzles have really kept the kids engaged in learning while having fun! These are very easy to differentiate. 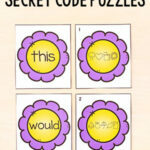 Type any words in on the first page and the puzzles will auto-populate with the words you put in. One side of the puzzle will show the phonics font and the other side will show a regular font. 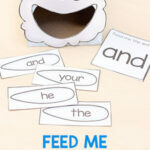 If your kids are learning to read simple CVC words, you can type those in. 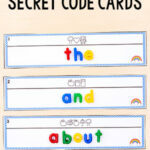 If they are still working on letters and letter sounds, you can use these too! Just type a letter into each box on the first page. The puzzles will show an object that represents a sound on one side and the letter that makes that sound on the other side. You can even use them for longer spelling words. There are so many possibilities for literacy activities. Unfortunately, the phonics font doesn’t have a number option, so you can’t use this one for numbers. Maybe I’ll make a number version one day. *You will probably want to laminate these if they will get heavy use. You will type the 12 words you would like to use for this specific set of puzzles into the blue boxes on the “How to Begin” page in the document and they will auto-populate to the puzzles. That’s all! 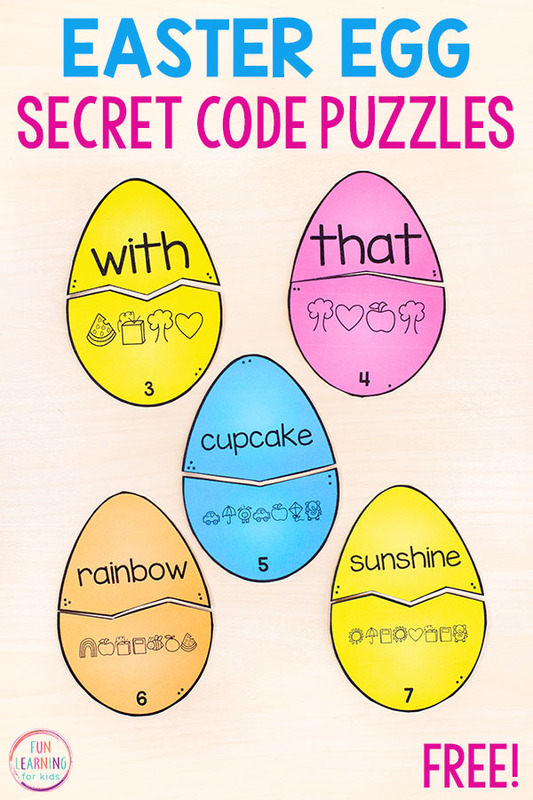 The kids are going to have a blast learning sight words, letters, spelling words and more with these fun Easter secret code puzzles. Here are some more Easter activities you might want to check out!